For many RV owners one of the biggest perks of rolling down the road in a little house on wheels is that they can bring along the whole family….even the dog! This benefit is important to pet owners whose furred friends are often important members of the family who they don’t want to leave behind. 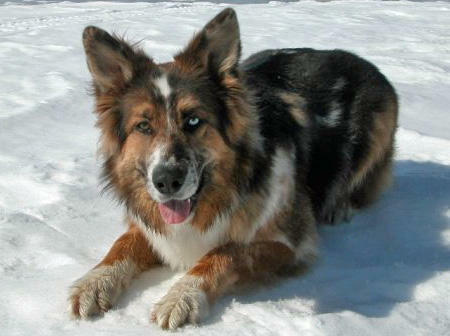 This is certainly the case for me and my Australian shepherd mix, Rocket. She is my best friend and the perfect companion –especially for those lonely days on the road. Taking Rocket along on my travels wasn’t always easy, but over the years I have learned a thing or two. 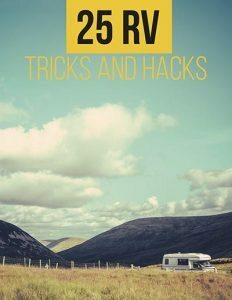 The lessons I’v learned have made sharing my RV with her much easier and more enjoyable for the both of us. Interested in learning more about RVign with dogs? Here are eight tips to make it easier and more comfortable for both you and your dog. Our furry best friends can sometimes be a little smelly; they tend to drool, and they shed… a lot! They are also known for chewing things that they shouldn’t and sometimes have bathroom accidents. As a pet owner, these little indiscretions come with the territory. When going out on the road with your beloved pet, it is important to find a way to deal with these issues. Fabric and carpet are both magnets for doggy odors and pet hair. If you’re serious about making your RV dog freindly consider installing vinyl floor and upgrading the leather upholstery. These materials will significantly reduce the amount of work that you will have to do to eliminate hair and odors. 2. No More Pet Smells! There’s no doubt that that your dog has a funny smell some times. While it’s true that some breeds are worse than others, all dogs love to roll around in (how do I say this nicely?) things that aren’t particularly sweet smelling. Unfortunately, when you are on the road for an extended amount of time, your rig will begin to smell as well. In my attempts to remove Rocket’s smell from my rig, I’ve tried a variety of cleaning supplies. I even bought the extra strength pet specific cleaners. In my experience there are only a few cleaners that can handle the job. After some experimenting I’ve found that the BISSELL Spot Clean Portable Cleaner works well for cleaning fabrics, and for the hard flooring and walls, Pine Sol does an excellent job. I have to admit that kennel training Rocket wasn’t exactly a walk in the park, but I’m glad that we stuck with it. 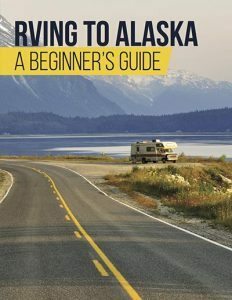 It has proven to be a valuable tool that comes in handy for our RV lifestyle. 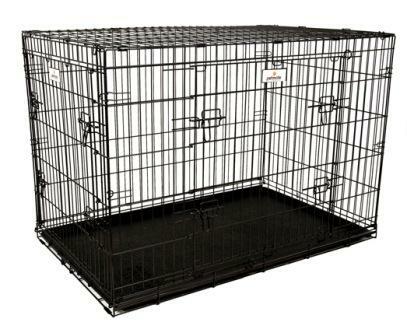 Rocket’s kennel is one of those open wire-framed models. It provides her with plenty of ventilation and good visibility. It also folds flat when not in use for easy storage. Rocket has come to see her kennel as her own little piece of paradise inside the motorhome. When I have to step out, I lock her in the kennel and she doesn’t mind it one bit. Her kennel keeps her from running all around the RV and trying to see out the windows. This prevents her from hurting herself and/or damaging the interior of the rig in the process. 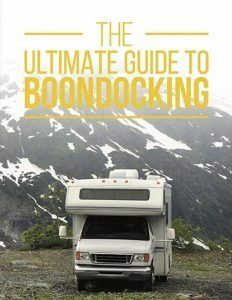 On my travels around the country I sometimes boondock (camp outside of a campground with no hook-ups) from time to time. When boondocking I don’t have the luxury of air conditioning to keep Rocket cool. Proper ventilation is essential for my furry companion. I recently had a powerful ceiling vent fan installed. This fan has made a big difference, especially on those days where the wind has decided to play hide and seek. Unfortunately, there are times when I have to leave Rocket in the RV without AC. When this happens, I place her kennel in the coolest part of the rig away from the area that gets the most sun. I also open the window that is nearest to her position and turn on the vent fan to create a nice breeze. The fan has a built-in automatic thermostat that turns on when the temperature rises. Being the owner of a dog that barks incessantly is no fun. This is especially true when it disturbs those who are parked around you. If you are unsure if your dog barks when you’re not around, make it a point to ask your neighbors. In some cases you won’t have to ask. Chances are if your dog barks the whole time you are away a neighbor will let you know! I work from home and I’ve had Rocket since she was an itty-bitty thing. Since we are rarely apart, I had an inkling that she would suffer from separation anxiety. To solve this problem, I use a bark control collar that gives her a little shock every time she barks. It also increases the strength of the electric shock if she continues barking. Thankfully, she never got past level two and she soon learned that she shouldn’t bark when the collar was on. Initially, I was against this device because I thought that she might get hurt. Since then, I’ve learned that it is quite gentle. These days Rocket is completely calm when she has the collar on. Another way to stop your dog from barking when you are away is by placing him or her in the kennel and keeping the blinds low. Doing this will keep your pet from getting distracted by things that are going on outside. Another tip is to turn on the radio or the TV to soothe the dog’s anxiety levels when they are alone. Whatever method you choose, it’s important to train your dog to be a good RV park neighbor. No one wants to listen to a barking dog while their relaxing in their RV. When I first started taking Rocket on my RV adventures I set some initial boundaries. I made it clear that she wasn’t allowed in my bedroom, on the table, or the chairs. Taking this step has worked out pretty well and it reduces the amount of cleaning that I have to do do. Instilling these boundaries from early on made it easy for Rocket to adjust to her new environment. Most dog owners know that a consistent diet will help keep their pooch healthy. It will also reduce instances of diarrhea and upset tummies. If you plan to travel to many different places, your dog food brand must be readily available. Avoid niche dog food and find a healthy brand that can be found in many of the big pet outlets. This ensures that you won’t be switching foods and risking having a sick pup on your hands. 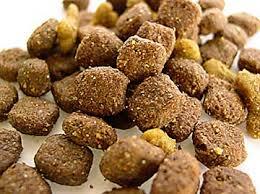 You may also want to buy a large resealable bin so that you can buy your kibble in larger quantities. Make sure that the bin has a tight seal to prevent insect and or rodent infestations. Last but not least you should travel with a first aid kit that is specifically designed for your dog. If you have any questions in this area, your vet should be able to point you in the right direction. My first aid kit for Rocket contains pain medication, heartworm/flea/tick prevention, etc. It is also a good idea to divvy up the medications into their proper doses before heading out on your trip. Doing so ensures that you won’t have to think about it if the need for the medication arises. 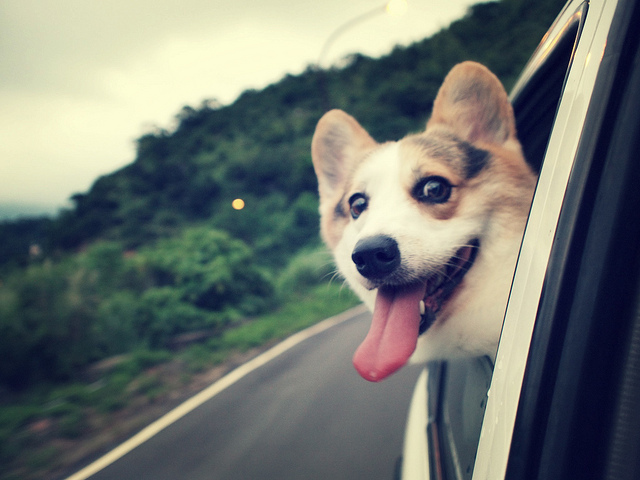 Dogs make the perfect traveling companion. They love to go for walks, enjoy new smells, and explore new territory…not to mention that their antics can be quite entertaining. When bringing your pup along on an RV trip it’s important to provide them with a safe, dog friendly environment so both you and your pet will have an enjoyable experience. Happy Trails!